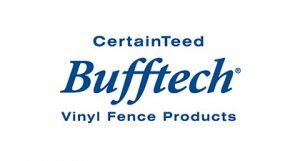 Maintenance-Free Outdoor Solutions carries a full line of Bufftech vinyl fencing manufactured by the best in the business, CertainTeed. 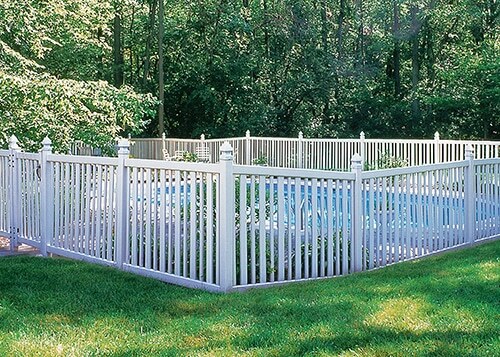 Looking to create a private backyard oasis, or perhaps enclose the pool or patio? 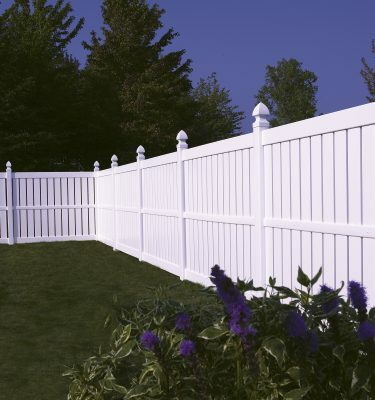 Bufftech’s complete line of vinyl privacy fences are available in an incredible array of styles and finishes suitable for any preference and budget. 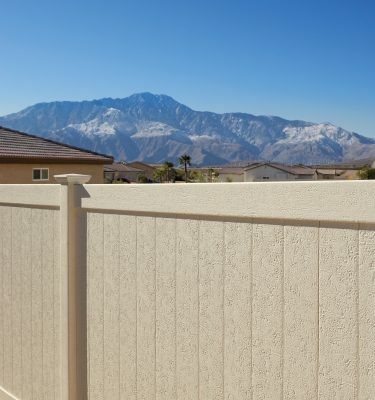 Three available textures — smooth, CertaGrain, and CertaStucco — ensure your privacy fence will uniquely complement your home. 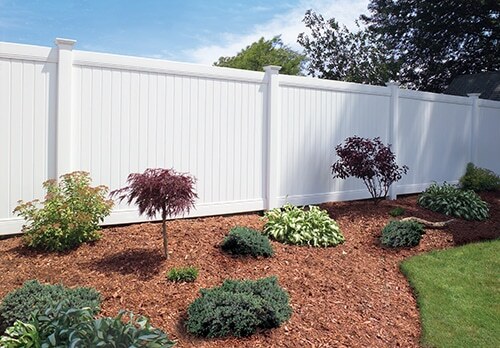 Finally, Privacy style vinyl fencing offered by Maintenance-Free come in a wide variety of colors featuring BuffTech’s innovative ColorLast fade protection. 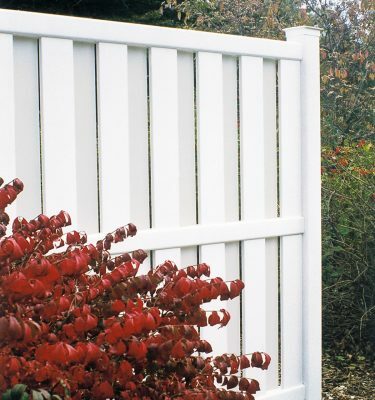 Contemporary style vinyl fences are the most popular and least expensive “spaced picket” option we offer at Maintenance-Free Outdoor Solutions. Customers may choose from varying heights and colors including white and almond. 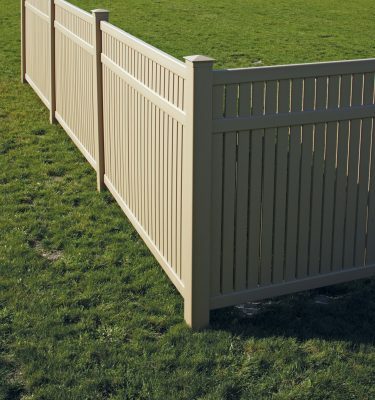 Contemporary style options include Bufftech’s Victorian, Monarch, Baron, Princeton, and Countess fences, each with its own unique design. 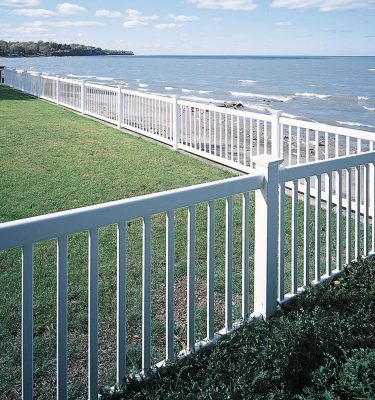 Galvanized steel and aluminum reinforcement is available for both top and bottom rails. 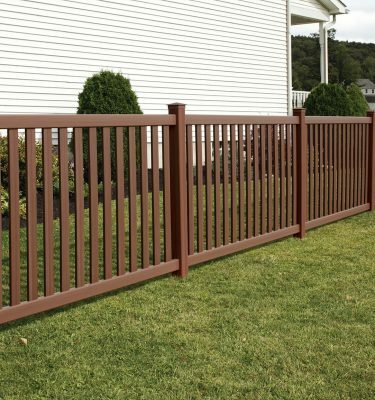 Contemporary style products are all “good neighbor” fences, as well, with the fence appearing the same from all vantage points. 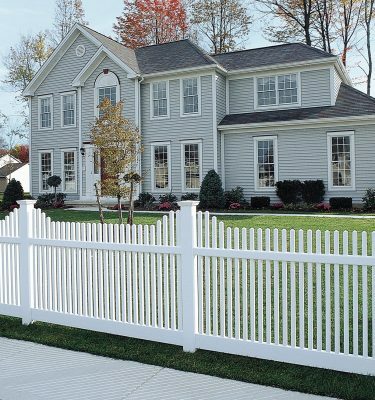 Offering “a timeless look that’s always in style,” Traditional style vinyl fences are a practical yet elegant solution featuring exceptional durability. 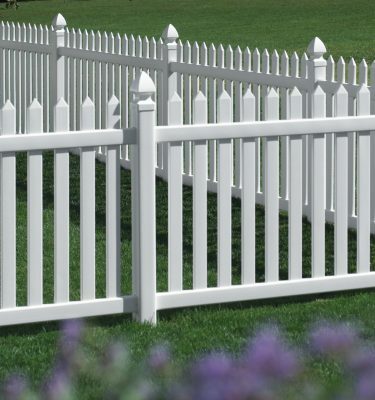 Maintenance-Free is proud to carry the full line of CertainTeed’s Bufftech brand Traditional style “picket thru rail” vinyl fencing, each offering a nostalgic feel along with old-fashioned American craftsmanship. 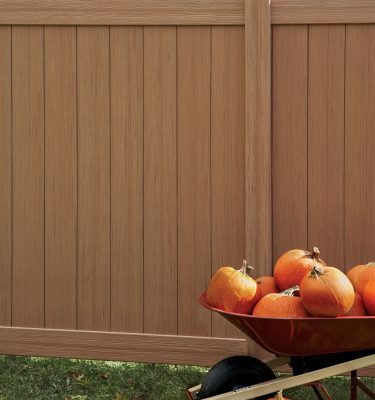 And — like all vinyl fences from Maintenance-Free Outdoor — Traditional style vinyl fences are virtually maintenance-free, weather-resistant and will not chip, fade or rot. For those seeking privacy and a fresh breeze, three semi-private styles are available to choose from, and are a popular choice for patio enclosures, garden backdrops, and pet containment. 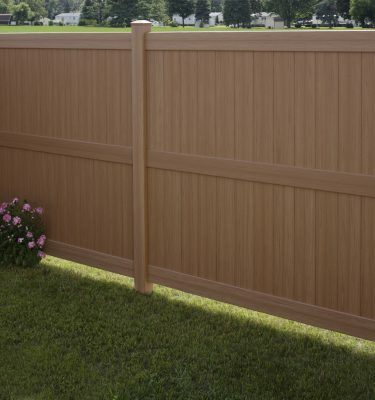 Semi-privacy vinyl fences offer substantial privacy while still allowing the breeze to flow through the fence. 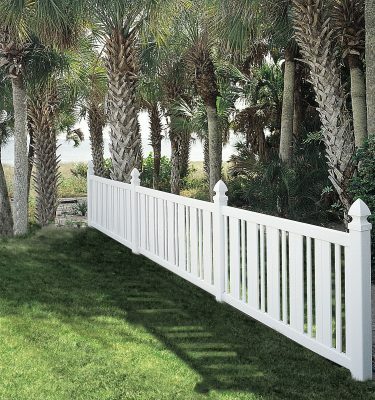 Maintenance-Free Outdoor Solutions is proud to carry all three of the Bufftech brand’s distinctive semi-privacy fence styles: Imperial, Millbrook, and Columbia, each available in a variety of heights, colors and textures. 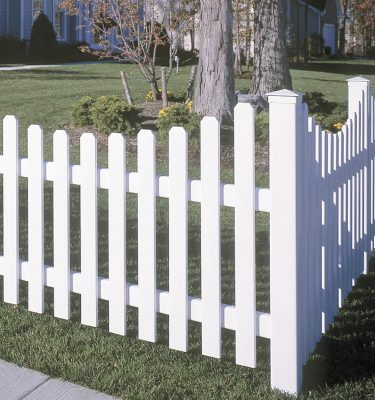 Featuring “sophisticated styling in an elegant design,” Classic style vinyl fences are also “good neighbor” fences, meaning they appear the same on both sides. Pickets protrude through the top rail and terminate at the bottom rail. 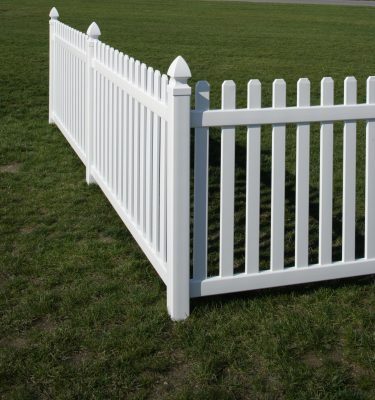 While Classic style fences are more difficult to rack (rack is term used to describe maintaining vertical pickets despite a downward sloping rail), Maintenance-Free’s in-house fabrication capabilities enables us to rack these vinyl fences to whatever degree is needed. 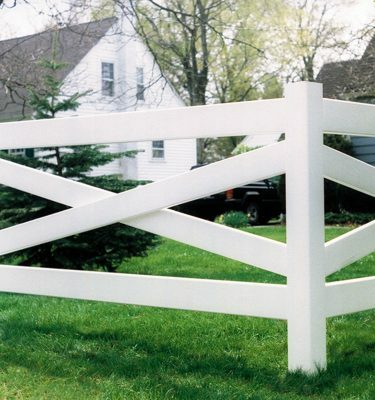 Post & Rail vinyl fences combine aesthetic appeal, durability and versatility. 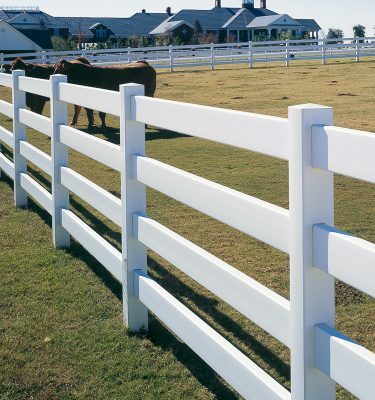 Engineered with CertainTeed’s state-of-the-art technology, post & rail vinyl fences offer maximum weather resistance. 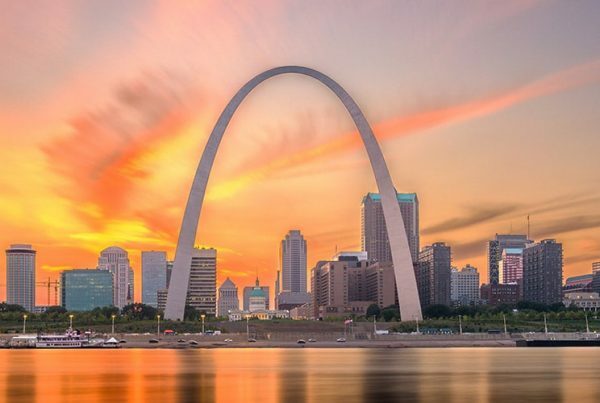 Innovative features like co-extrusion increase durability and UV protection, while BuffTech’s lock ring technology ensures secure rail and post connections. 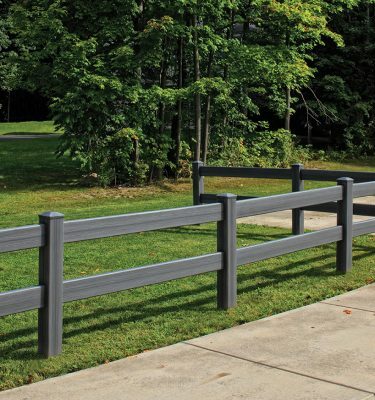 In addition to smooth finishes, Post & Rail vinyl fences are available in Bufftech’s CertaGrain™ texture, which replicates the look and feel of painted wood fencing. 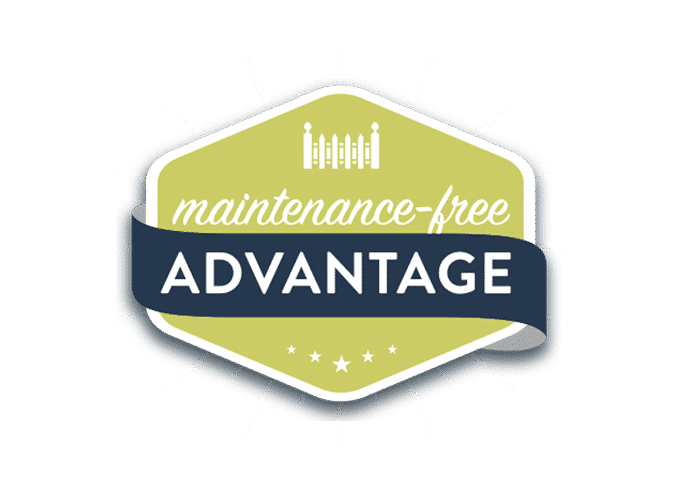 Maintenance-Free – Vinyl fences are virtually maintenance-free, and require none of the painting or upkeep associated with other materials like wood or wrought iron. 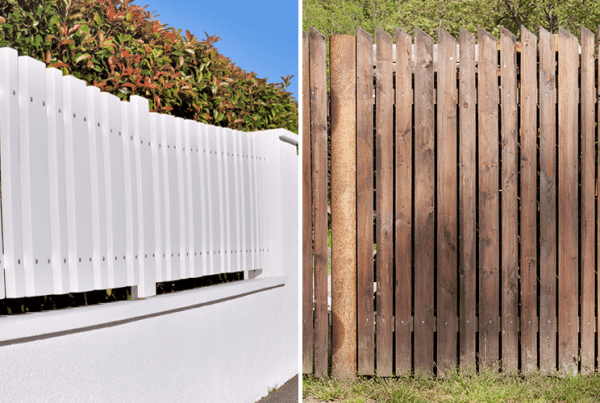 Durability – Unlike traditional fencing materials like wood, iron and chain link, vinyl fences are virtually impervious to the elements and do not rot or rust. 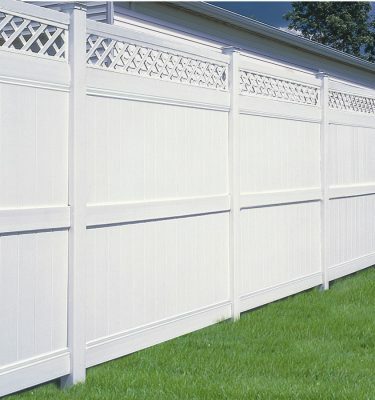 Vinyl fences are roughly 5x stronger than wood, too. 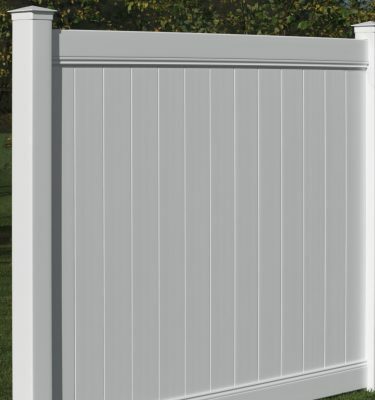 Design – Available in a wide array of colors, styles and finishes, no matter what you’re looking for, there’s a vinyl fence to complement your home, outdoor decor and landscaping. 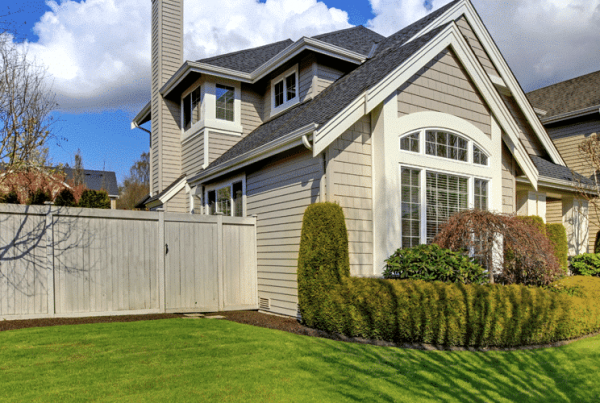 Cost – Vinyl fencing is an excellent choice if you’re looking to add resale value to your home and minimize (or even eliminate) maintenance costs. 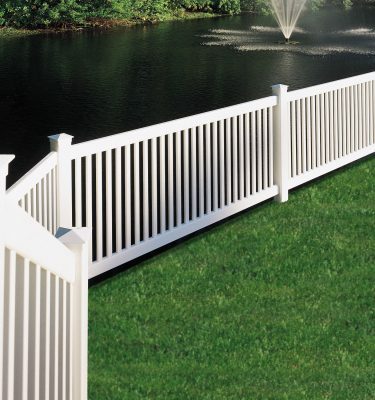 Peace of Mind – All new vinyl fences from Maintenance-Free include a limited lifetime warranty, so you can spend more time enjoying your yard — not worrying about it. 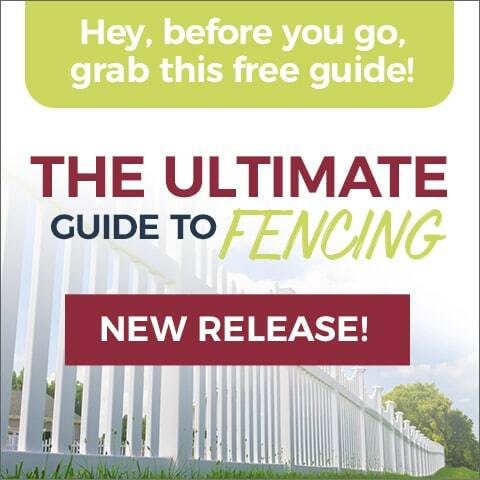 Vinyl fencing is one of the most attractive and cost-effective investments you can make in your home. 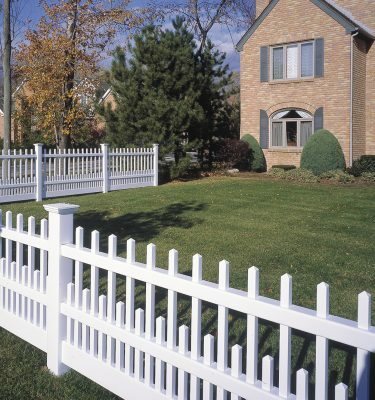 Virtually maintenance-free, a vinyl fence resists the elements and the wear and tear of everyday life. 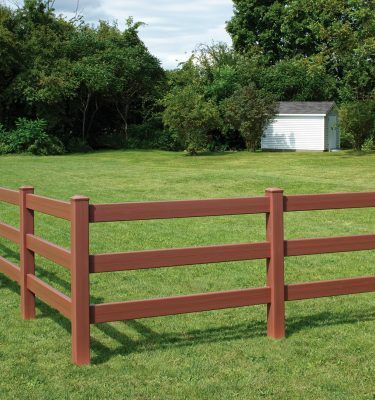 Vinyl fencing is also extremely customizable and available in a wide range of styles, colors and finishes, ensuring a perfect fit with your home and landscaping. 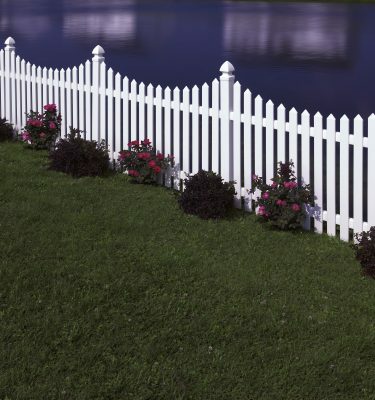 We are vinyl fencing experts, and many consider us the best vinyl fence company in St. Louis.